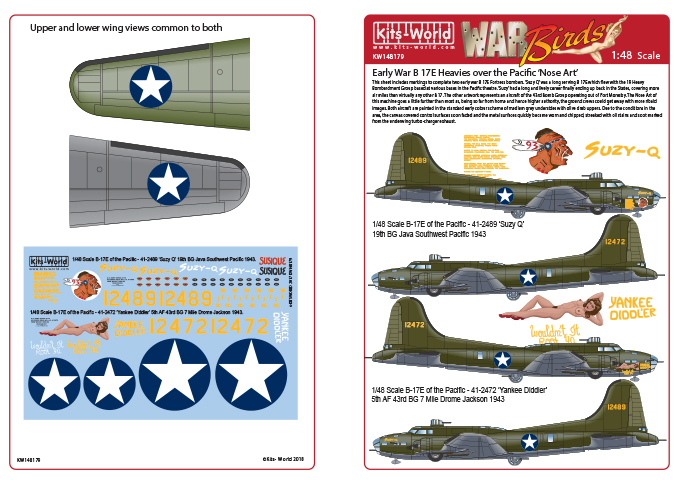 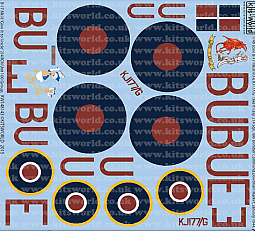 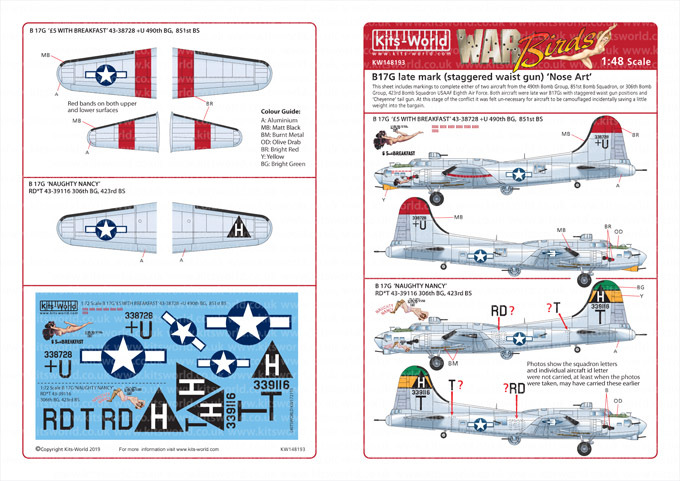 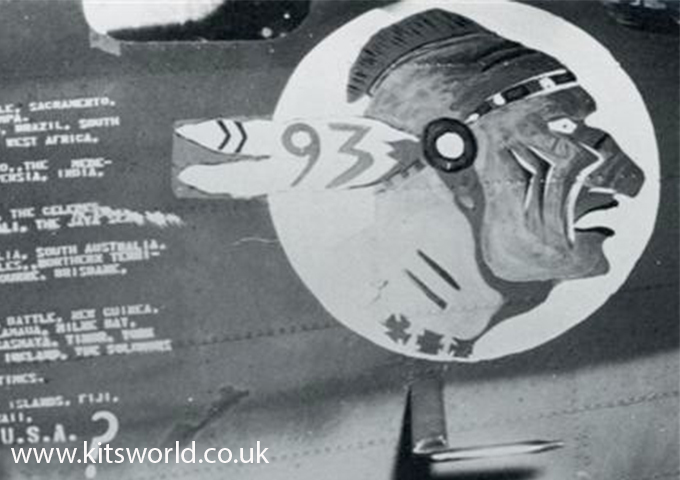 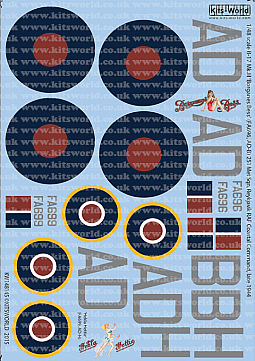 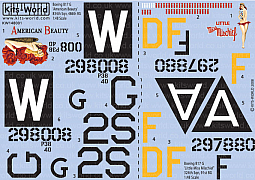 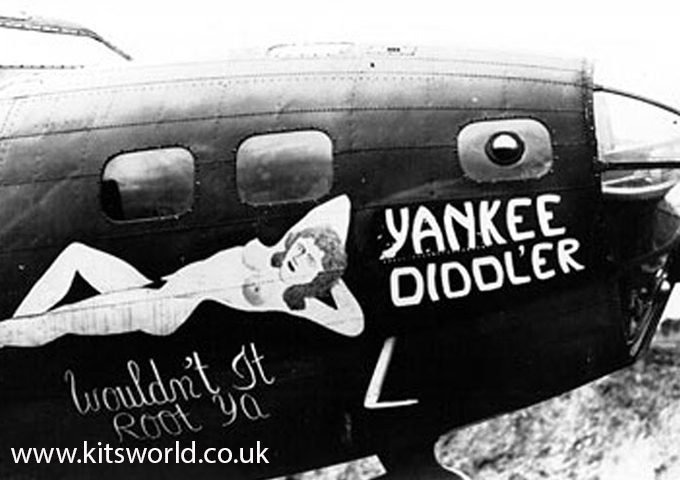 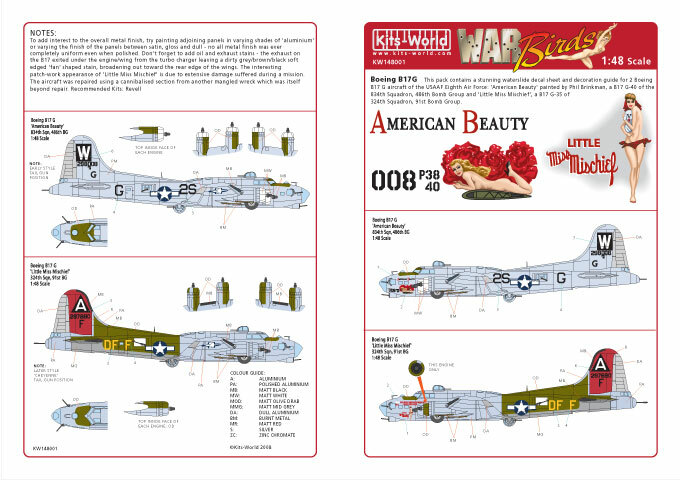 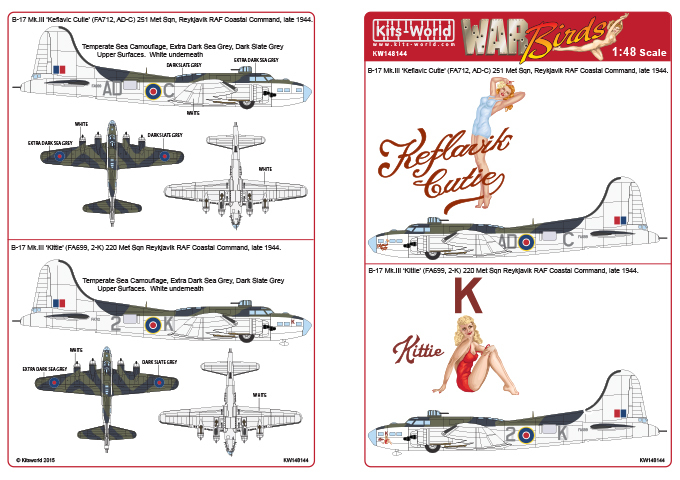 This kitsworld decal sheet includes schemes for 2 Boeing B17G aircraft of the USAAF Eighth Air Force: "American Beauty" painted by Phil Brinkman, a B17 G-40 of 834th squadron, 486th Bomb Group and "Little Miss Mischief", a B17 G-35 of 324th squadron, 91st Bomb Group. 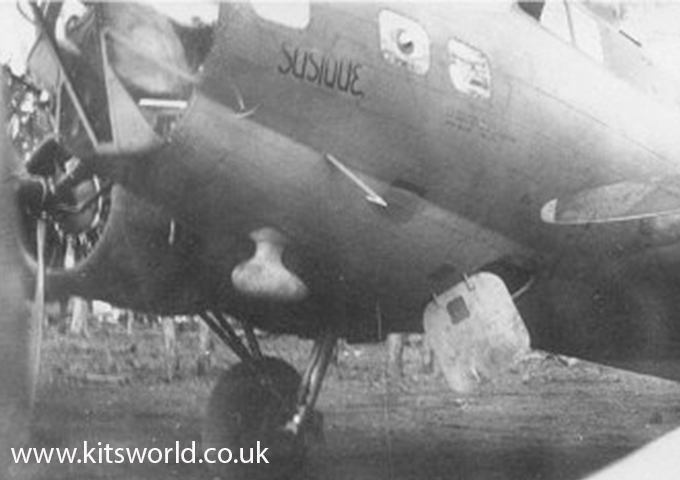 Boeing Flying Fortress B-17E of the Pacific - 41-2489 'Suzy Q' 19th BG, Java Southwest Pacific 1943. 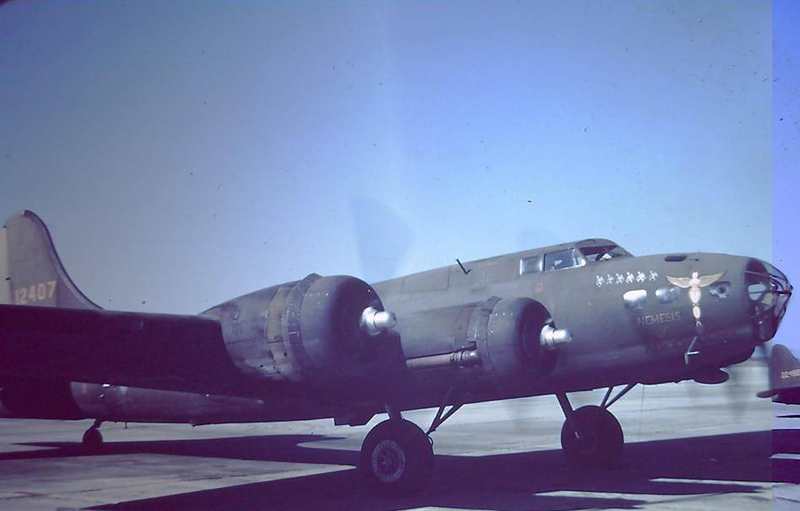 Beoing Flying Fortress B-17E of the Pacific - 41-2472 'Yankee Diddler' 5th AF, 43rd BG, 7 Mile Drome Jackson 1943. 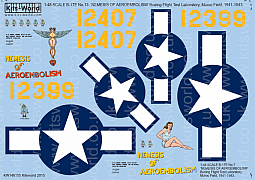 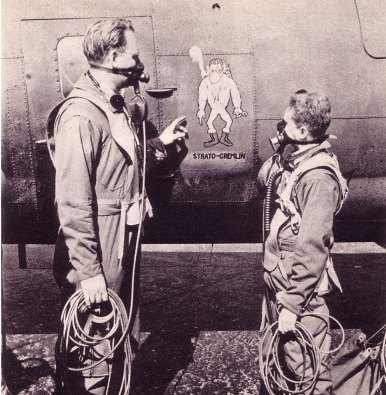 This pack contains decals for two of the three B-17's used for the testing of high altitude flight to and above 35,000 feet by Boeing in collaboration with the Aero Medical Laboratory at Wright Field, Dayton, Ohio. 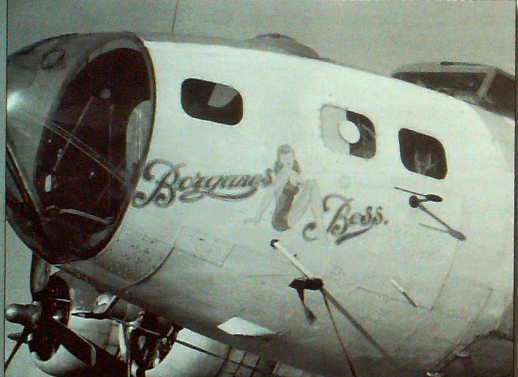 The three specialised B-17s were known as "Fortress Research Laboratories" B-17E No13, 41-2407, B-17E No. 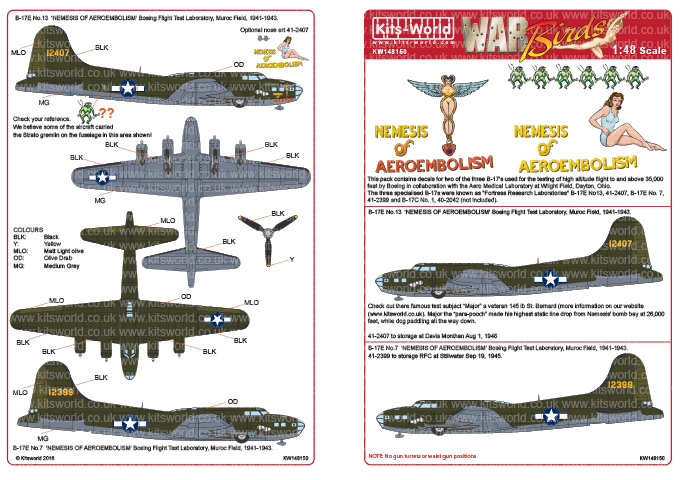 7, 41-2399 and B-17C No. 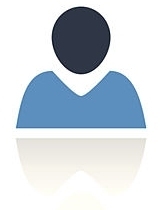 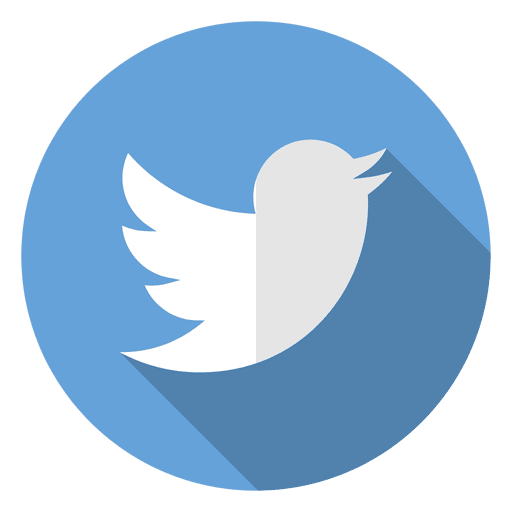 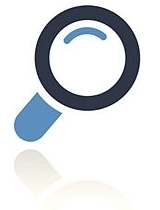 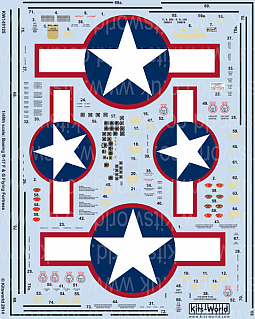 1, 40-2042 (not included). 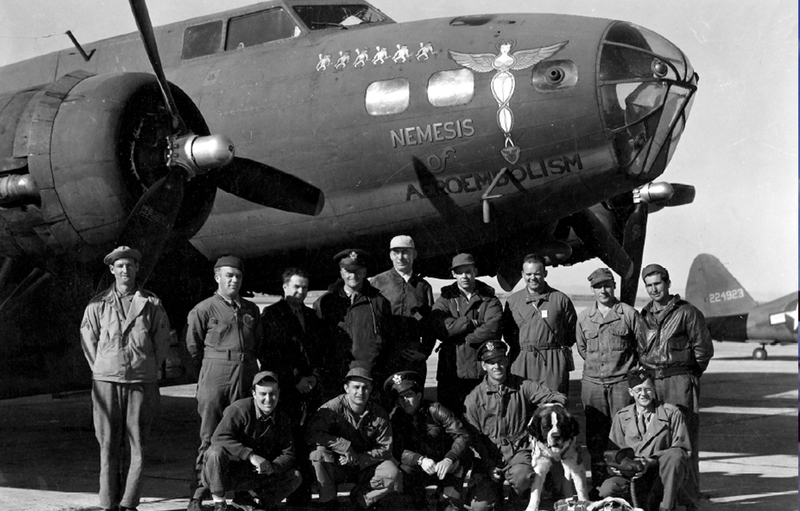 B-17E 41-2399 No.7 'NEMESIS OF AEROEMBOLISM' Boeing Flight Test Laboratory, Muroc Field, 1941-1943. 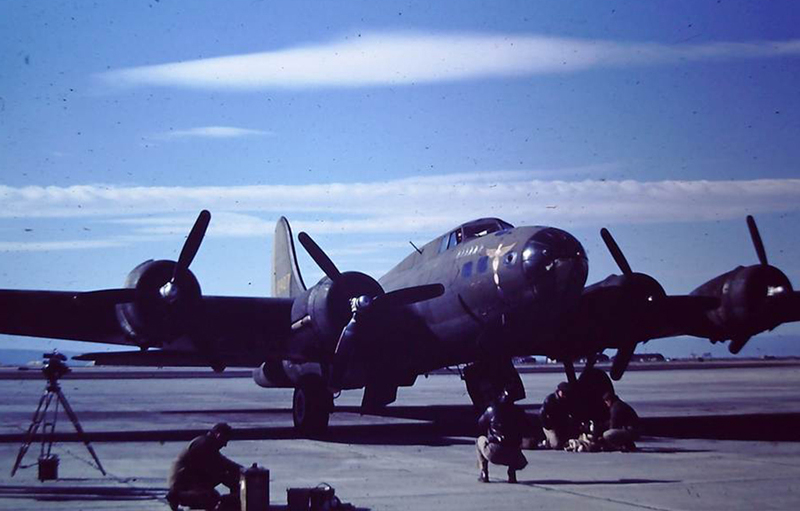 41-2399 to storage RFC at Stillwater Sep 19, 1945. 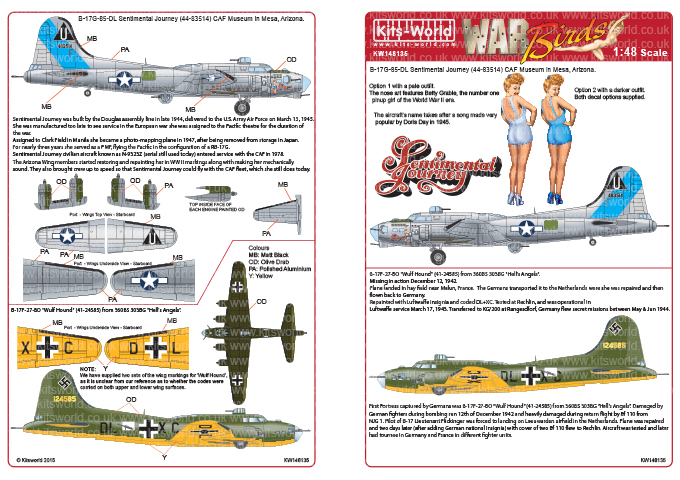 KW148135 B-17F/G 'Sentimental Journey - Wulf Hound. 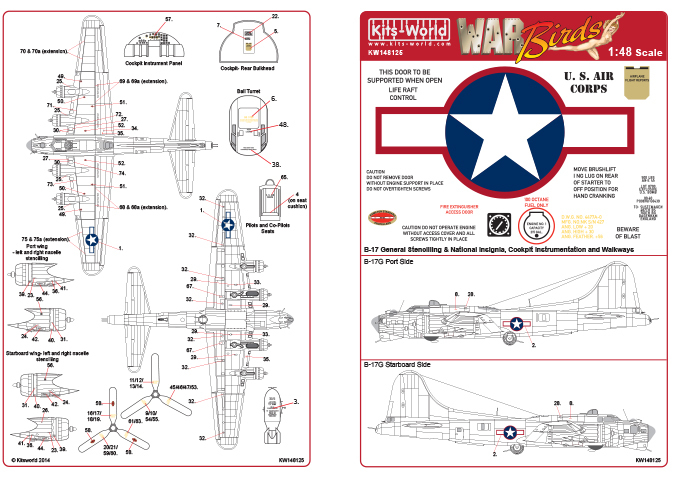 B-17G 44-83514 'Sentimental Journey' Commemorative Air Force Arizona Wing. 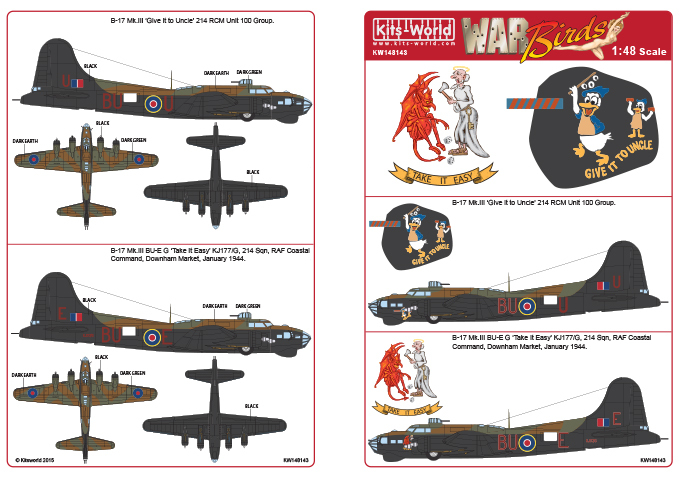 B-17F-27-BO 41-24585 PU-B 'Wulf Hound' 360BS/303BG RAF Molesworth. 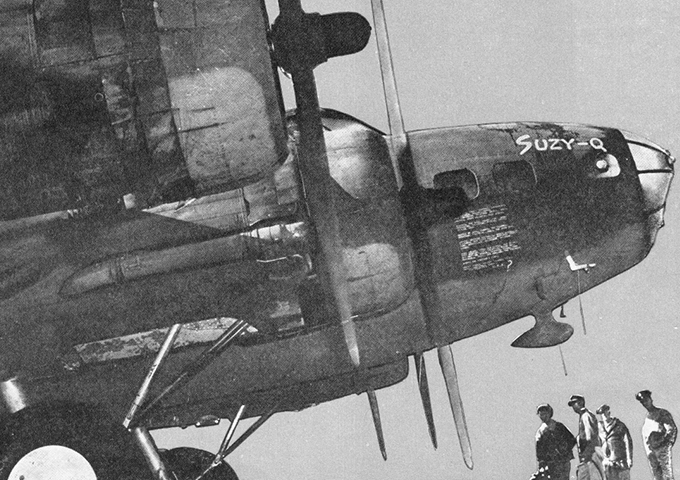 Captured by the Germans and used by the Luftwaffe for testing. 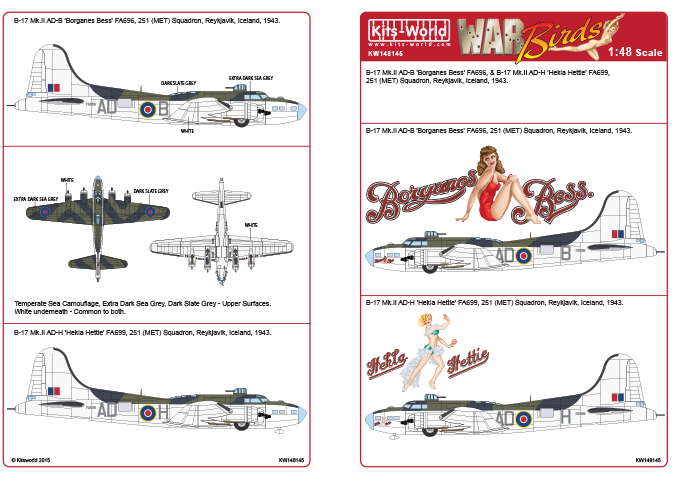 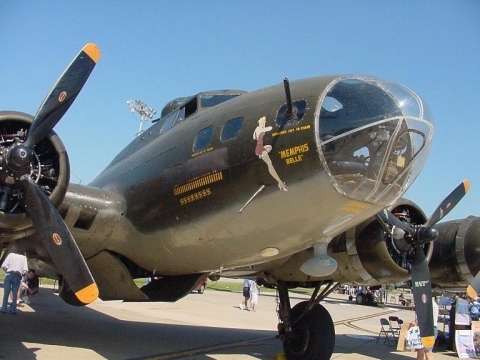 KW148136 B-17F/G 'Memphis Belle - Sally B'. 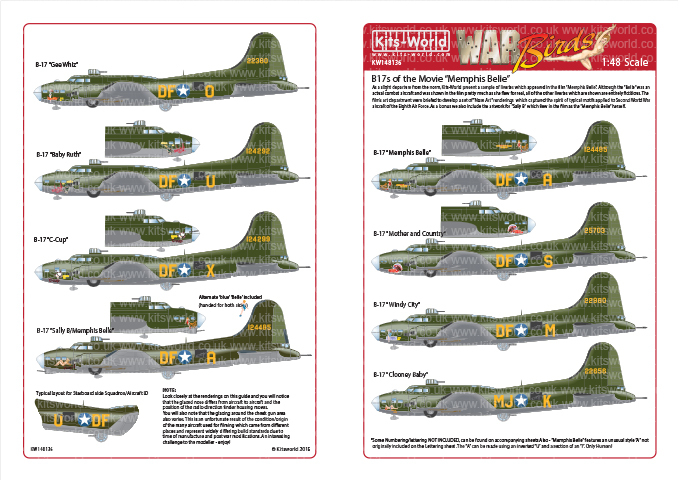 B-17F/G Red Outlined Stars & Bars - Comprehensive General stencilling including Cockpit instrumentation, Fuel tank hatch info, Propeller logos, Black walkway lines, Life raft & data panel, Stars and Bars and more!